Big data brings together more data, from more sources in order to to provide companies with better insights into their business. Core to big data is the principle of data discovery - identifying previously unknown patterns of behaviour about our customers, our markets, our offerings and our operations that allow us to radically improve the way we do business. Companies that are able to make effective use of Big Data and Analytic increase their productivity and profitability by 5 to 6 percent over those that don't. In areas such as data driven marketing, fraud analytics, customer experience and channel optimisatoin, and even simply to reduce the cost of running and maintaining the traditional data warehouse, big data has proven value. Yet, big data comes with its own challenges. The challenges of finding, understanding and preparing quality data to deliver trusted insight increase in the age of big data. Companies lare looking to gain better insights, more quickly, by drawing in more and more data from a variety of fources - including traditional databases, legacy systems (like mainframes), and,inceasingly from unstructured data sources such as the Internet of Things and Blockchain. This means that data engineering - the set of disciplines required to find, understand and prepare data are far more critical than data science - the discpline of drawing insights from data. ETL (extract, transform and load) has for years been a workhorse technology for enabling analysis of business information. But now it’s being joined by a new approach, called data preparation or data wrangling. The two techniques are similar in purpose, but distinct in function and application. Where ETL is intended for IT professionals, and works mainly with structured data set, data preparation engines for big data must handle data of any type - both structured and unstractured - and is becming more an more a self-service capability enabling both business and IT professionals to find and access the data they need to deliver trusted insights. 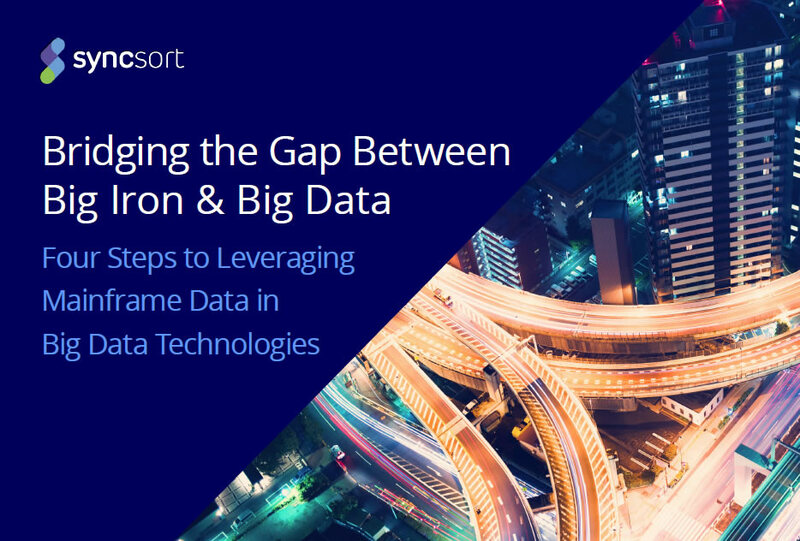 Working with Syncsort - the leader in solutions for Big Data for Big Iron, Master Data Management wil help you business to find the correct balance between data preparation, and ETL. What drives big data success? Your first thought might be analytics accuracy or the amount of data you have available to process. But if you’re not thinking about big data quality as well, you may be undercutting the effectiveness of your entire big data operation. Real-time data analytics are no good if they are based on flawed data. No amount of speed can make up for inaccuracies or inconsistencies. Even if your data analytics results are accurate, data quality issues can undercut analytics speed in other ways. For example, formatting problems can make data more time-consuming to process. Redundant or missing information within datasets can lead to false results. For example, redundant information means that certain data points appear to be more prominent within a data set than they actually should be, which results in misinterpretation of data. Inconsistent data – meaning data whose format varies, or that is complete in some cases but not in others – makes data sets difficult to interpret in a deep way. You might be able to gather basic insights based on inconsistent data, but deep, meaningful information requires complete datasets. No matter how great your analytics tools are, how fast you can obtain results or how much data you have, you can’t make up for the shortcomings described above if you lack data quality. The new TDWI Checklist Report: Strategies for Improving Big Data Quality for BI and Analytics, takes a look at applying data quality methods and technologies to big data challenges that fit an organization’s objectives.